There are 1 cat videos tagged with singing. New Years Eve. 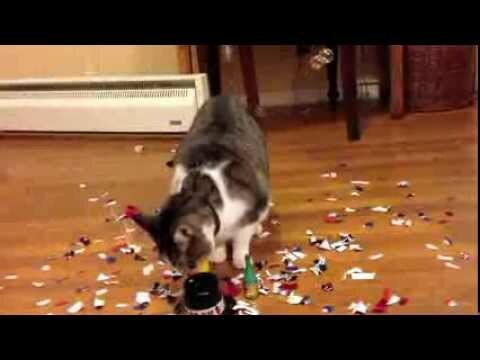 Cat Singing Auld Lang Syne. Happy New Year! Happy New Year!! Ring in the new year with this uniquely awesome rendition of the new years classic Auld Lang Syne featuring Pepper the Cool Cat! Meow! Happy New Year!! Ring in the new year with this uniquely awesome rendition of the new years classic Auld Lang Syne featuring Pepper the Cool Cat! Meow! Created with Cat Piano.